I highly recommend The Hollow Men II: Some reflections on Westminster and Whitehall dysfunction by Dominic Cummings. It is full of insights into the failings of bureaucracies, government by crisis and news cycle, and hollow leadership. The essay is long, but the excerpts below give some of the flavor. ... students leave university for politics and the civil service with degrees that reward verbal fluency, some fragments of philosophy, little knowledge of maths or science, and confidence in a sort of arrogant bluffing combined with ignorance about how to get anything done. They think they are prepared to ‘run the country’ but many cannot run their own diaries. ... Often watching MPs one sees a group of people looking at their phones listening only for a chance to interrupt, dreaming of the stage and applause. They are often persuasive in meetings (with combinations of verbal ability, psychological cunning, and ‘chimp politics’) and can form gangs. Parliaments seem to select for such people despite the obvious dangers. This basic aspect inevitably repels a large fraction of entrepreneurs and scientists who are externally oriented – that is, focused on building things, not social networking and approval. ... It is the startups who, generally, make breakthroughs and solve hard problems – not bureaucrats – but it is the bureaucrats who dominate the upper echelons of large public companies, politics, and public service HR systems. Civil service bureaucracies at senior levels generally select for the worst aspects of chimp politics and against those skills seen in rare successful organisations (e.g the ability to simplify, focus, and admit errors). They recruit ‘people who won’t rock the boat’ but of course the world advances exactly because of the efforts of people who do ‘rock the boat’. They recruit a lot of lawyers, who are trained to focus on process rather than outcome, reinforcing one of the worst aspects of bureaucracies. ... Warren Buffett has proposed institutionalising Red Teams to limit damage done by egomaniac CEOs pursuing flawed mergers and acquisitions: ‘it appears to me that there is only one way to get a rational and balanced discussion. Directors should hire a second advisor to make the case against the proposed acquisition, with its fee contingent on the deal not going through’. This seems to me to be a great idea and MPs and Permanent Secretaries should think hard about how to operationalise it in Whitehall. ... most senior MPs in all three parties are locked into a game in which they spend most of their time on a) launching gimmicks, and b) coping with crises. These two forms of activity are closely related. The only widely understood model of activity in Westminster (and one which fits well psychologically with the desire for publicity) is a string of gimmicks aimed to manipulate the media (given the label ‘strategy’ to make it sound impressive) which are announced between, and in response to, media crises, some of which are trivial and some of which reflect structural problems. Many, drawing perhaps only on the bluffing skills rewarded by PPE, have no idea what else to do. ... Cameron is superficially suitable for the job in the way that ‘experts’ often judge such things – i.e. basic chimp politics skills, height, glibness etc, so we can ‘shove him out to give a statement on X’. That’s it. In a dysfunctional institutional structure, someone without the skills we need in a prime minister can easily get the job with a few breaks like that. ... Our leaders are like 19th Century Germans who had lost religion of whom Nietzsche said, ‘they merely register their existence in the world with a kind of dumb amazement’. They get up every day and react to the media without questioning why: sometimes they are lauded, usually they are trashed, but they carry on in a state of ‘dumb amazement’ without realising how absurd their situation is. Meanwhile, the institutions within which they operate continue with their own momentum and dynamics, and they pretend to themselves that they are, in the phrase they love, ‘running the country’. How good is high school talent scouting for football? The star system used in college recruiting seems to have good validity in predicting an NFL career. SBNation: ... The chance of a lesser-rated recruit being drafted in the first round is nowhere close to what it is for a blue-chipper. Consider this: While four- and five-star recruits made up just 9.4 percent of all recruits, they accounted for 55 percent of the first and second round. Any blue-chip prospect has an excellent shot of going on to be a top pick, if he stays healthy and out of trouble. A five-star recruit had a three-in-five chance of getting drafted (16 of 27). A four-star had a one-in-five chance (77 of 395). A three-star had a one-in-18 chance (92 of 1,644). A two-star/unrated recruit had a one-in-34 chance (71 of 2,434). Success, Ability, and all that: ... In the SMPY study probability of having published a literary work or earned a patent was increasing with ability even within the top 1%. The "IQ over 120 doesn't matter" meme falls apart if one measures individual likelihood of success, as opposed to the total number of individuals at, e.g., IQ 120 vs IQ 145, who have achieved some milestone. The base population of the former is 100 times that of the latter! 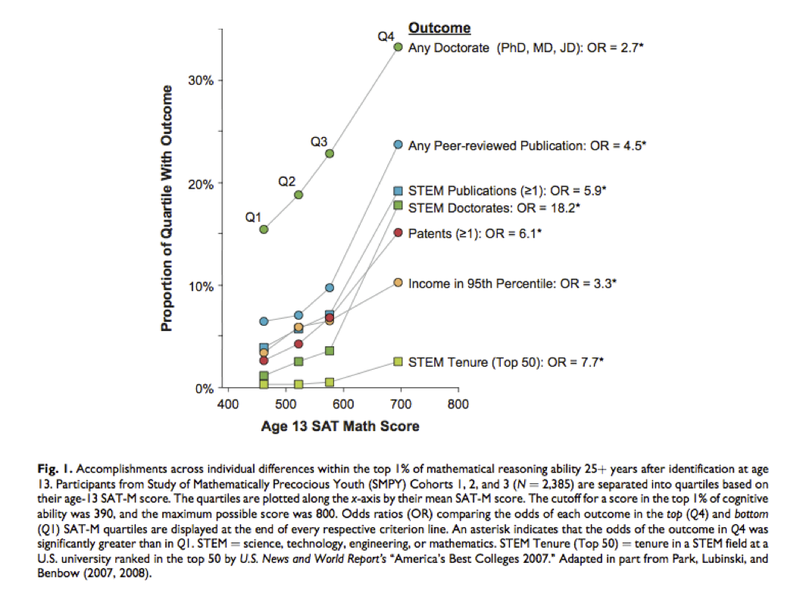 In other words, if you find similar numbers of IQ 120 and IQ 145 individuals achieving some milestone (e.g., CEO of tech-focused startup or STEM research tenure; roughly speaking, 120 and 145 might be equally likely for those populations), then the odds ratio at an individual level is ~ 100 to 1 in favor of the 145s. 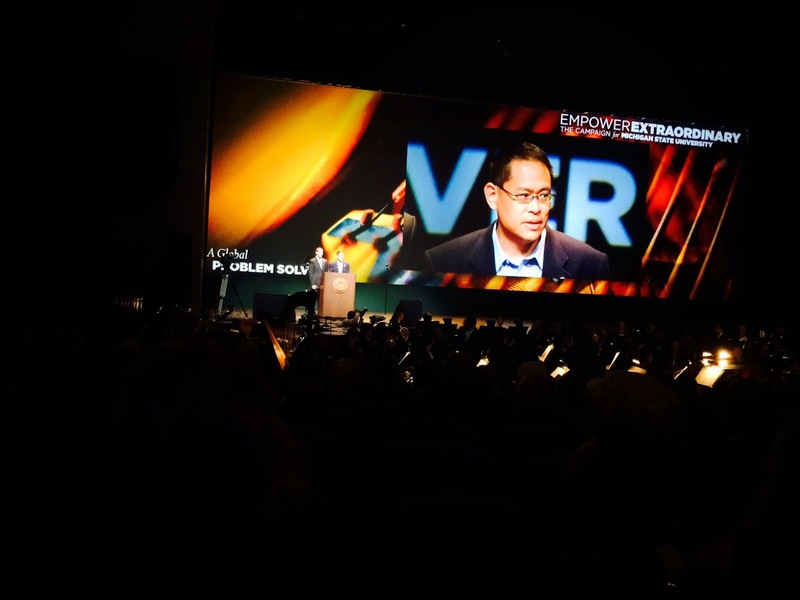 A short story by Hugo and Nebula winner Ted Chiang. See also A Modern Borges? and Genius (Nautilus magazine article). It has been twenty-five years since a report of original research was last submitted to our editors for publication, making this an appropriate time to revisit the question that was so widely debated then: What is the role of human scientists in an age when the frontiers of scientific inquiry have moved beyond the comprehension of humans? No doubt many of our subscribers remember reading papers whose authors were the first individuals ever to obtain the results they described. But as metahumans began to dominate experimental research, they increasingly made their findings available only via DNT (digital neural transfer), leaving journals to publish secondhand accounts translated into human language. Without DNT humans could not fully grasp prior developments nor effectively utilize the new tools needed to conduct research, while metahumans continued to improve DNT and rely on it even more. Journals for human audiences were reduced to vehicles of popularization, and poor ones at that, as even the most brilliant humans found themselves puzzled by translations of the latest findings. Textual hermeneutics became popular first, since there were already terabytes of metahuman publications whose translations, while cryptic, were presumably not entirely inaccurate. Deciphering these texts bears little resemblance to the task performed by traditional paleographers, but progress continues: recent experiments have validated the Humphries decipherment of decade-old publications on histocompatibility genetics. The availability of devices based on metahuman science gave rise to artifact hermeneutics. Scientists began attempting to "reverse engineer" these artifacts, their goal being not to manufacture competing products, but simply to understand the physical principles underlying their operation. The most common technique is the crystallographic analysis of nanoware appliances, which frequently provides us with new insights into mechanosynthesis. The question is, are these worthwhile undertakings for scientists? Some call them a waste of time, likening them to a Native American research effort into bronze smelting when steel tools of European manufacture are readily available. This comparison might be more apt if humans were in competition with metahumans, but in today's economy of abundance there is no evidence of such competition. In fact, it is important to recognize that— unlike most previous low-technology cultures confronted with a high-technology one— humans are in no danger of assimilation or extinction. There is still no way to augment a human brain into a metahuman one; the Sugimoto gene therapy must be performed before the embryo begins neurogenesis in order for a brain to be compatible with DNT. This lack of an assimilation mechanism means that human parents of a metahuman child face a difficult choice: to allow their child DNT interaction with metahuman culture, and watch their child grow incomprehensible to them; or else restrict access to DNT during the child's formative years, which to a metahuman is deprivation like that suffered by Kaspar Hauser. It is not surprising that the percentage of human parents choosing the Sugimoto gene therapy for their children has dropped almost to zero in recent years. As a result, human culture is likely to survive well into the future, and the scientific tradition is a vital part of that culture. Hermeneutics is a legitimate method of scientific inquiry and increases the body of human knowledge just as original research did. Moreover, human researchers may discern applications overlooked by metahumans, whose advantages tend to make them unaware of our concerns. For example, imagine if research offered hope of a different intelligence-enhancing therapy, one that would allow individuals to gradually "up-grade" their minds to a metahuman-equivalent level. Such a therapy would offer a bridge across what has become the greatest cultural divide in our species' history, yet it might not even occur to metahumans to explore it; that possibility alone justifies the continuation of human research. 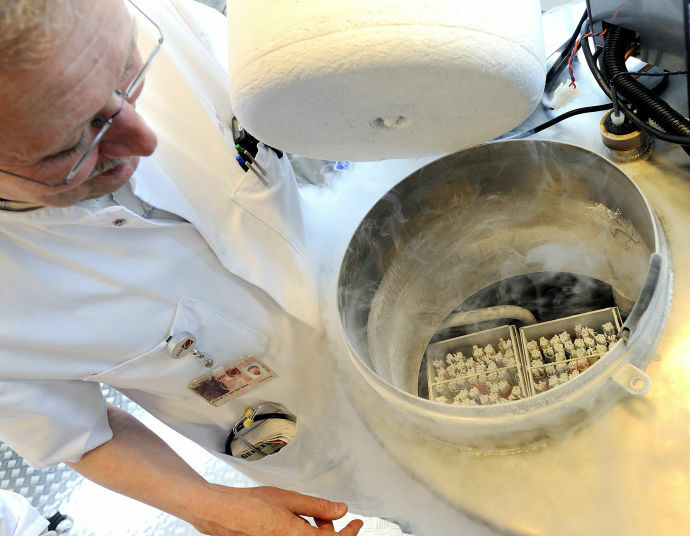 Facebook and Apple to offer oocyte cryopreservation in benefits package. 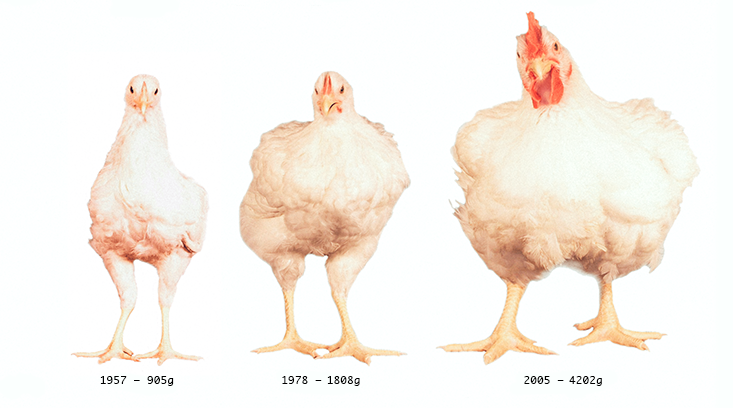 See also Lean in, freeze eggs. ... likely, it will appeal to women who are experiencing no immediate threat to their fertility—no threat, that is, beyond their participation in a competitive workplace in which the bearing and rearing of children is perceived as an aberrant inconvenience. To such women, egg freezing might seem to offer liberation from those wearying dictates of biology by which their older sisters, no matter how successful their careers, were bound. Better an iBaby than no baby at all. Deferring childbearing from one’s twenties or early thirties until one’s later thirties or forties certainly has its appeal for the woman with ambitions beyond motherhood. Lots of women have chanced it, even before egg freezing came along and supplied a possible, if not entirely reliable, form of counter-infertility insurance. Still, even with this tantalizing suggestion of reproductive liberty, it’s hard to figure out exactly how long to postpone. A woman might skip having children in her twenties or thirties in order to focus on her career, only to discover by her forties that its demands—not to mention the encroachment of middle age—make motherhood even less manageable than it appeared at twenty-five or thirty. Bonus: The price of eggs. The article excerpted below, in the science magazine Nautilus, is an introduction to certain ideas from my paper On the genetic architecture of intelligence and other quantitative traits. Lev Landau, a Nobelist and one of the fathers of a great school of Soviet physics, had a logarithmic scale for ranking theorists, from 1 to 5. A physicist in the first class had ten times the impact of someone in the second class, and so on. He modestly ranked himself as 2.5 until late in life, when he became a 2. In the first class were Heisenberg, Bohr, and Dirac among a few others. Einstein was a 0.5! 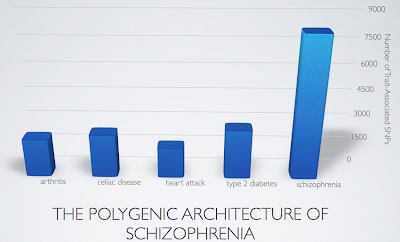 My friends in the humanities, or other areas of science like biology, are astonished and disturbed that physicists and mathematicians (substitute the polymathic von Neumann for Einstein) might think in this essentially hierarchical way. Apparently, differences in ability are not manifested so clearly in those fields. But I find Landau’s scheme appropriate: There are many physicists whose contributions I cannot imagine having made. I have even come to believe that Landau’s scale could, in principle, be extended well below Einstein’s 0.5. 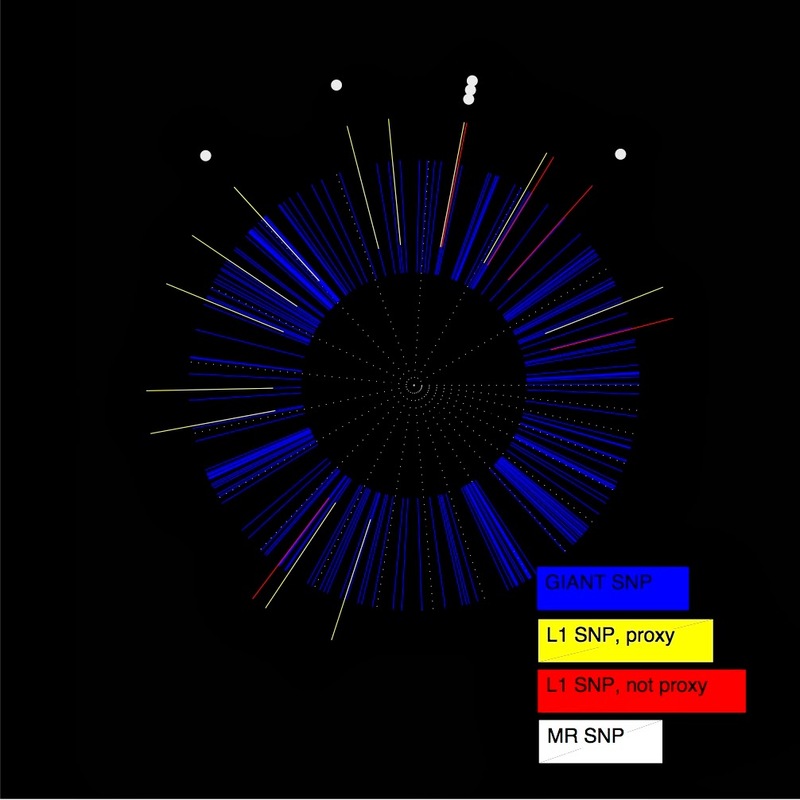 The genetic study of cognitive ability suggests that there exist today variations in human DNA which, if combined in an ideal fashion, could lead to individuals with intelligence that is qualitatively higher than has ever existed on Earth: Crudely speaking, IQs of order 1,000, if the scale were to continue to have meaning. ... Does g predict genius? 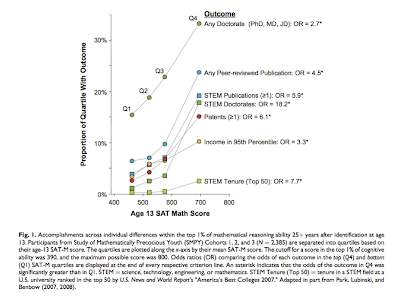 Consider the Study of Mathematically Precocious Youth, a longitudinal study of gifted children identified by testing (using the SAT, which is highly correlated with g) before age 13. All participants were in the top percentile of ability, but the top quintile of that group was at the one in 10,000 level or higher. When surveyed in middle age, it was found that even within this group of gifted individuals, the probability of achievement increased drastically with early test scores. For example, the top quintile group was six times as likely to have been awarded a patent than the lowest quintile. Probability of a STEM doctorate was 18 times larger, and probability of STEM tenure at a top-50 research university was almost eight times larger. It is reasonable to conclude that g represents a meaningful single-number measure of intelligence, allowing for crude but useful apples-to-apples comparisons. ... Once predictive models are available, they can be used in reproductive applications, ranging from embryo selection (choosing which IVF zygote to implant) to active genetic editing (for example, using CRISPR techniques). 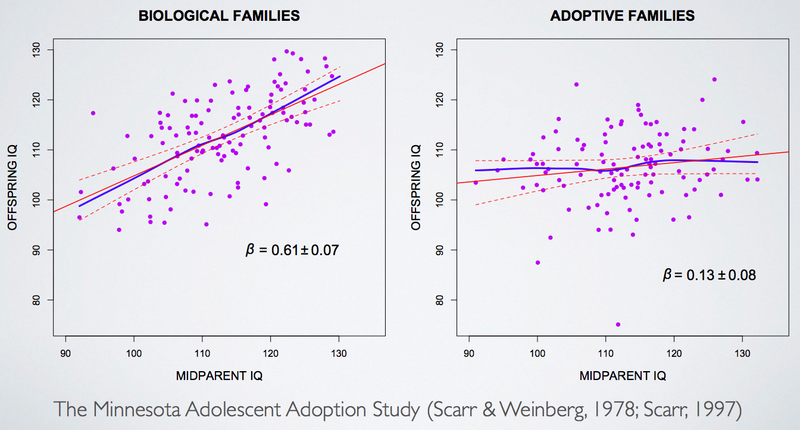 In the former case, parents choosing between 10 or so zygotes could improve the IQ of their child by 15 or more IQ points. This might mean the difference between a child who struggles in school, and one who is able to complete a good college degree. Zygote genotyping from single cell extraction is already technically well developed, so the last remaining capability required for embryo selection is complex phenotype prediction. The cost of these procedures would be less than tuition at many private kindergartens, and of course the consequences will extend over a lifetime and beyond. The corresponding ethical issues are complex and deserve serious attention in what may be a relatively short interval before these capabilities become a reality. Each society will decide for itself where to draw the line on human genetic engineering, but we can expect a diversity of perspectives. Almost certainly, some countries will allow genetic engineering, thereby opening the door for global elites who can afford to travel for access to reproductive technology. As with most technologies, the rich and powerful will be the first beneficiaries. Eventually, though, I believe many countries will not only legalize human genetic engineering, but even make it a (voluntary) part of their national healthcare systems. The alternative would be inequality of a kind never before experienced in human history. Note Added: I posted the following in the comments at the Nautilus site and also on Hacker News (ycombinator), which has a big thread. 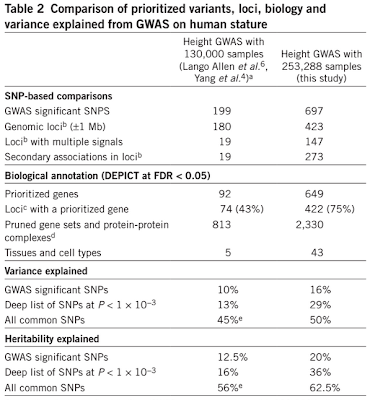 In plant and animal genetics it is well established that the majority of phenotype variance (in complex traits) which is under genetic control is additive. (Linear models work well in species ranging from corn to cows; cattle breeding is now done using SNP genotypes and linear models to estimate phenotypes.) 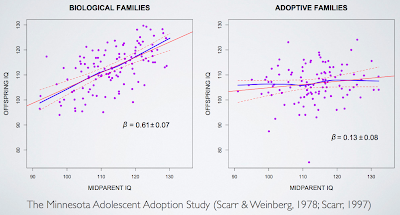 There are also direct estimates of the additive / non-additive components of variance for human height and IQ, from twin and sibling studies. Again, the conclusion is the majority of variance is due to additive effects. There is a deep evolutionary reason behind additivity: nonlinear mechanisms are fragile and often "break" due to DNA recombination in sexual reproduction. Effects which are only controlled by a single locus are more robustly passed on to offspring. Fisher's fundamental theorem of natural selection says that the rate of change of fitness is controlled by additive variance in sexually reproducing species under relatively weak selection. "The brain is complex and nonlinear and many genes interact in its construction and operation." "Differences in brain performance between two individuals of the same species must be due to nonlinear effects of genes." The first statement is true, but the second does not appear to be true across a range of species and quantitative traits. EconTalk host Russ Roberts is interviewed by long-time EconTalk guest Michael Munger about Russ's new book, How Adam Smith Can Change Your Life: An Unexpected Guide to Human Nature and Happiness. Topics discussed include how economists view human motivation and consumer behavior, the role of conscience and self-interest in acts of kindness, and the costs and benefits of judging others. The conversation closes with a discussion of how Smith can help us understand villains in movies. See also: Venn Diagram for Economics, Behavioral economics, The origins of behavioral economics: Kahneman interview, The heterdoxy strikes back, and more on Vernon Smith. Roberts: ... this book in many ways is a psychology book intermingled with economics--The Theory of Moral Sentiments is in many ways a mixture of philosophy, psychology, and economics. Munger: It is interesting that that theme comes up a fair amount among people that may be seen as heterodox by "true" economists. So, Friedrich Hayek often talks about scientism, the pretence of knowledge, how in the way that we model things we're making assumptions about information and structure that we don't have. But Smith's critique, and the way that you channel Smith's critique, is actually deeper, because it has to do with the nature of people and their motivations in choosing. Roberts: ... The challenge here is that I push the idea that economics is an art and a craft, rather than a science. And it's easy to criticize economics the way I do and say: Oh, it's not scientific. People don't really maximize utility. Munger: So, I want to see your skepticism and raise you a little bit and see how far you'll go with this. When I teach class, I say homo economicus is a sociopath. No society composed of homo economicus could possibly survive. Roberts: Yep. Munger: And the reason is, we would cheat on deals if we thought we could get away with them. So, what I want to advocate is actually--and this is a terrible thing to admit--is that Rousseau, Jean-Jacques Rousseau, was actually right about something: that the real way to understand the successful society is not to treat morals and the constraints that society puts on us as constraints, but as part of the objective function. Let me add my sincere congratulations to those you’ve already heard tonight. Tenure at a great research university is a milestone in the life of a scholar. I hope you will take some time to reflect and to enjoy. In psychology there is a well-known phenomenon called the Hedonic Treadmill. Individuals who achieve an important goal -- whether it is becoming a millionaire, or sports champion, or tenured professor -- are often quick to discount the achievement. Happiness levels rise only briefly, and then it’s back to the treadmill, with some new goal in mind and no measurable increase in life satisfaction. With great gifts come great responsibilities. I have two requests for each of you, now that you are firmly ensconced at the very heart of our university. 1. Think about the last 6 years and ask yourself: what can MSU do to improve the experience of junior faculty? Can we be clearer about the promotion and tenure process? Should we do more to protect new faculty from service burdens? Is there enough communication and mentoring within your department? No one is in a better position than you are, at this moment, to recognize necessary improvements, and to help make them a reality. If you don't do it, who will? 2. Make use of your tenure. Take risk in service of great achievements. 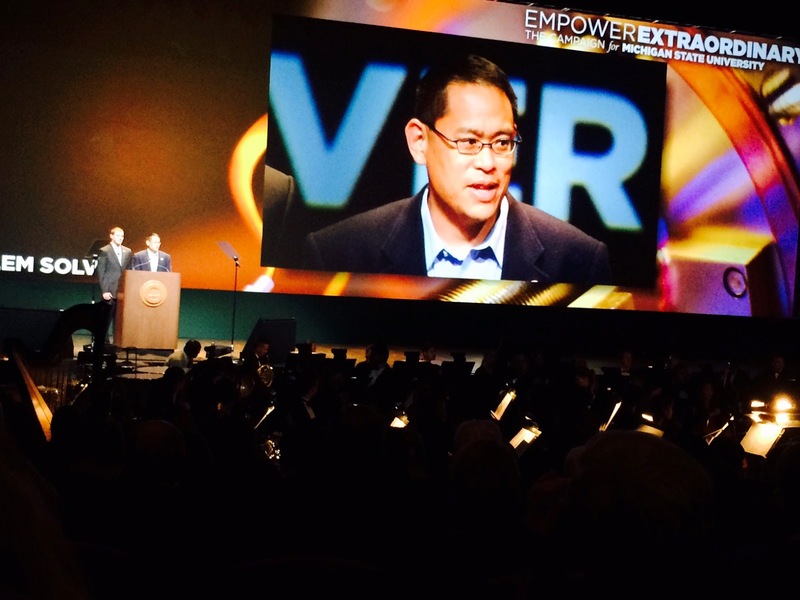 Think great thoughts, ask deep questions, and attempt challenging and original projects. This promotion means that you have all the potential required to make a lasting contribution to human knowledge. With luck and hard work, you will carry it through. Archival work reveals that Hannah Arendt (Eichmann in Jerusalem) and many other observers were fooled by Eichmann during his trial. He was more than a cog, not merely banal, and did indeed think about his actions during the Holocaust. Bettina Stangneth's recent book, Eichmann before Jerusalem is fascinating reading. Audio interview with Stangneth (NYTimes). See also this exchange: Arendt and Eichmann (NY Review of Books), and What it was like. 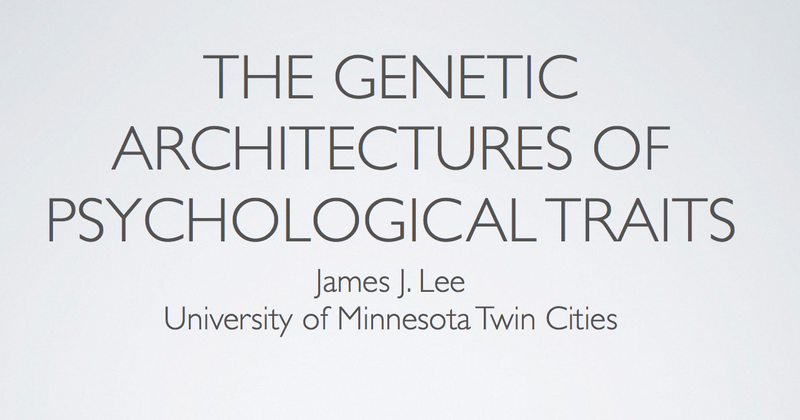 Highly recommended: slides from a recent talk by James Lee. This paper uses Swedish conscript data to examine characteristics of CEOs of large and medium sized companies. Also discussed on Marginal Revolution. Thanks to Carl Shulman for the link. 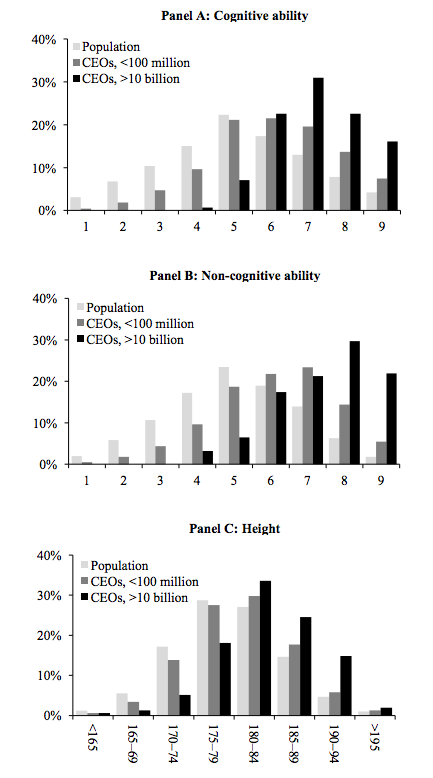 It looks like large company CEOs are roughly +1, +1.5 and +0.5 SD on cognitive ability, non-cognitive ability (see below) and height, respectively. Apparently Swedish medical doctors are also only about +1 SD in cognitive ability (see article). Horizontal axes are on a stanine (STAndard NINE) scale. On this scale a normal distribution is divided into nine intervals, each of which has a width of 0.5 standard deviations excluding the first and last. Abstract: This paper analyzes the role three personal traits — cognitive and non-cognitive ability, and height — play in the market for CEOs. We merge data on the traits of more than one million Swedish males, measured at age 18 in a mandatory military enlistment test, with comprehensive data on their income, education, profession, and service as a CEO of any Swedish company. We find that the traits of large-company CEOs are at par or higher than those of other high-caliber professions. 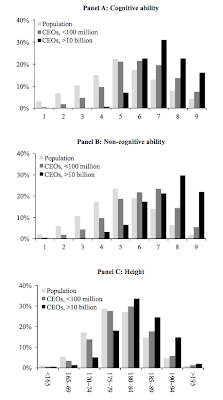 For example, large-company CEOs have about the same cognitive ability, and about one-half of a standard deviation higher non-cognitive ability and height than medical doctors. Their traits compare even more favorably with those of lawyers. The traits contribute to pay in two ways. First, higher-caliber CEOs are assigned to larger companies, which tend to pay more. Second, the traits contribute to pay over and above that driven by firm size. We estimate that 27-58% of the effect of traits on pay comes from CEO’s assignment to larger companies. Our results are consistent with models where the labor market allocates higher-caliber CEOs to more productive positions. ... The cognitive-ability test consists of four subtests designed to measure inductive reasoning (Instruction test), verbal comprehension (Synonym test), spatial ability (Metal folding test), and technical comprehension (Technical comprehension test). [Non-cognitive ability:] Psychologists use test results and family characteristics in combination with one-on-one semi-structured interviews to assess conscripts’ psychological fitness for the military. Psychologists evaluate each conscript’s social maturity, intensity, psychological energy, and emotional stability and assign a final aptitude score following the stanine scale. Conscripts obtain a higher score in the interview when they demonstrate that they have the willingness to assume responsibility, are independent, have an outgoing character, demonstrate persistence and emotional stability, and display initiative. Importantly, a strong desire for doing military service is not considered a positive attribute for military aptitude (and may even lead to a negative assessment), which means that the aptitude score can be considered a more general measure of non-cognitive ability. I went to Harvard Business School, a self-styled pantheon for the business elite. Few were truly brilliant intellectually. Few were academically distinguished (plenty of good ivy league degrees, but very few brilliant mathematical minds, etc.). A good number will be at Davos in 20 years time. Performance beyond a certain level in the vast majority of fields (and business is certainly one of them) is principally a function of having no cognitive and personal qualities which fall below a (high, but not insanely high) hygene threshold -- and then multiplied by determination, of course. Conscientiousness, in fact, is the best single stable predictor of job success for complex jobs (well established in personality psychometrics). Very high intelligence actually negatively correlates with career success (Kotter), probably because smart people enjoy solving problems, rather than making money selling things -- which outside of quant trading, show business and sport is really the only way of being really successful. There are some extremely intelligent people in business (by which I mean high IQ, not just wise or experienced), but you tend to find them in the corners of the business landscape with the richest intellectual pastures: some areas of law, venture capital, some cutting edge technology fields. 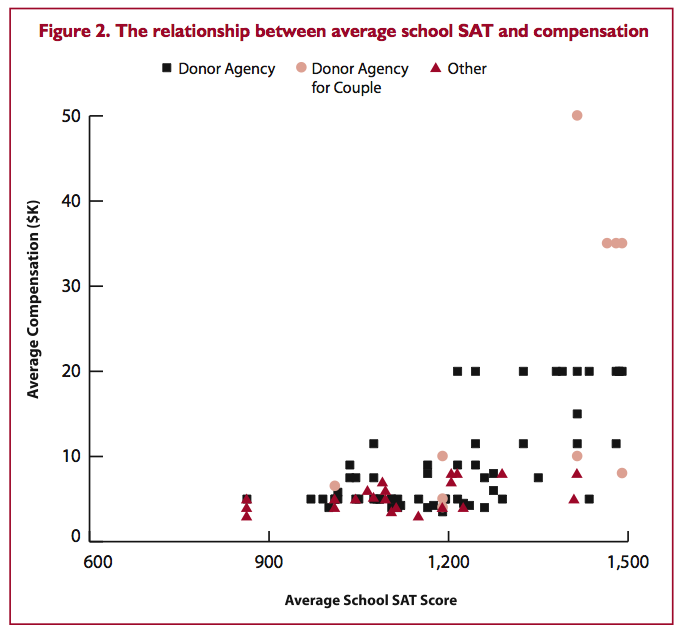 See also Human capital mongering: M-V-S profiles. 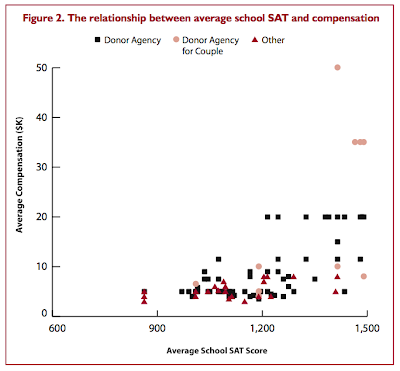 Note deviation scores (SDs) here are relative to the average among the gifted kids in the sample, not relative to the general population. The people in this sample are probably above average in the general population on each of M-V-S. The figure below displays the math, verbal and spatial scores of gifted children tested at age 12, and their eventual college majors and career choices. This group is cohort 2 of the SMPY/SVPY study: each child scored better than 99.5 percentile on at least one of the M-V sections of the SAT. Scores are normalized in units of SDs. The vertical axis is V, the horizontal axis is M, and the length of the arrow reflects spatial ability: pointing to the right means above the group average, to the left means below average; note the arrow for business majors should be twice as long as indicated but there was not enough space on the diagram. The spatial score is obviously correlated with the M score. 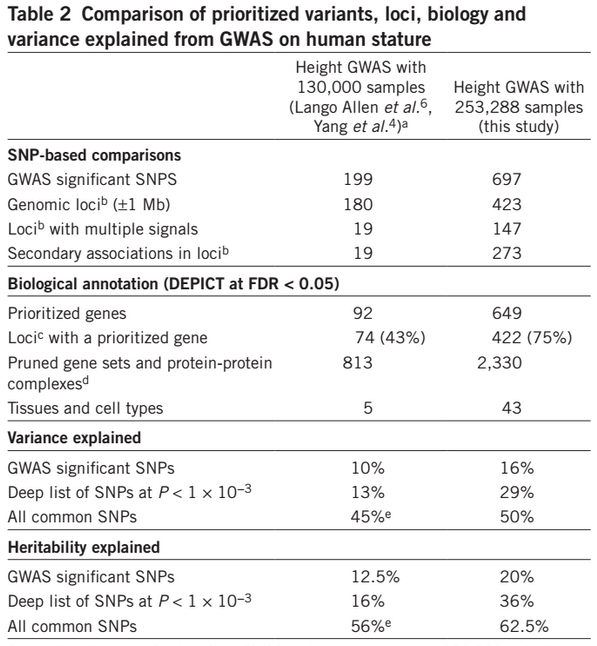 More evidence that common genetic variants can produce many standard deviations of change in average phenotype. 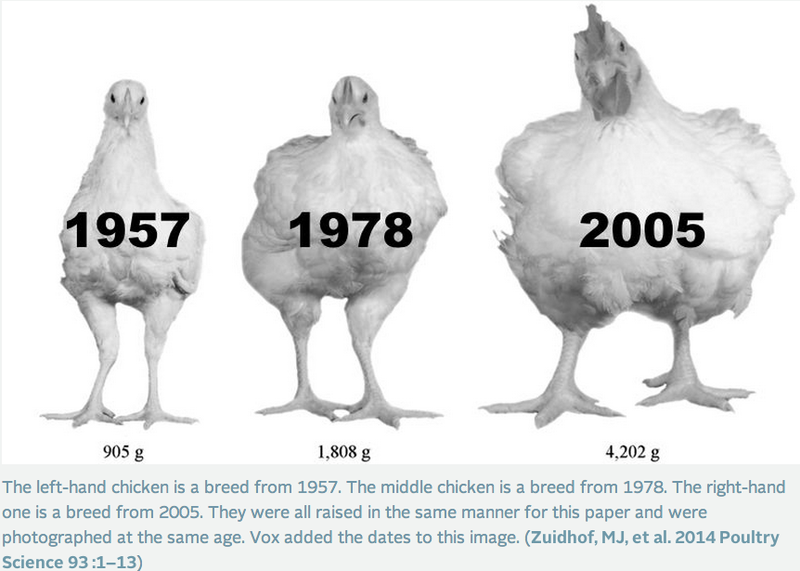 Also, while wild chickens lay ~1 egg per month, modern agricultural types lay ~1 per day. The study is described in more detail here. Thanks to Carl Shulman for the link. 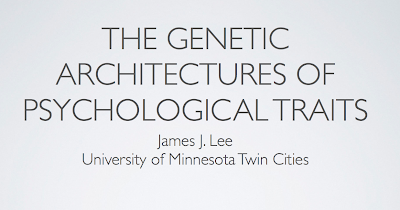 See also Plenty of room at the top and sections 3.1 and 3.3 of On the genetic architecture of intelligence and other quantitative traits.